http://www.automag.com/ is still up. Nothing much new there, but it still seems functional. Next time you receive an error accessing a web resource try to capture a screen shot and include it with your post to better demonstrate exactly what error you saw. 3 years ago, someone with knowledge, told Patrick, it will take 18 months to get it off the ground properly: Patrick said, I have a "gunsmith" who said he can do it in 6 months. . . Some people will never learn! .....or better yet - get paid to censor any negative comments that might put a bad light on stakeholders. It seems to be the latest trend, as Youtube, Google, Twitter and many other social media orgs are doing this right now, as we sit here .... - 1st amendment be damned! Yup spoken like a true Canadian. No wonder you boys got so many problems up there. God forbid anyone say something you folks disagree with. Edit out comments or dont edit them, it wont change how long it will take them to get you a new Auto Mag. It will take just as long as needed but thinking censoring comments will make any difference is about as stupid as paying years in advance for a gun that is not yet even designed, so its just about right. [QUOTE=XP001].... - 1st amendment be damned! Notwithstanding the 1st Amendment, people don't seem to understand that the freedom of the press requires ownership (or control) of a press. If I don't live long enough to get my FE, I pray that my son will. Why thank you Joe, for all your thoughtful insight, observations and kind wishes regarding my previous comments. "You have been https://dictionary.cambridge.org/dictionary/english/working" rel="nofollow - working hard," he said with https://dictionary.cambridge.org/dictionary/english/heavy" rel="nofollow - heavy sarcasm, as he https://dictionary.cambridge.org/dictionary/english/look" rel="nofollow - looked at the https://dictionary.cambridge.org/dictionary/english/empty" rel="nofollow - empty https://dictionary.cambridge.org/dictionary/english/page" rel="nofollow - page . If you really must know the why's as to what I wrote earlier, it was because one of my posts on here was removed along with another members which were nothing more than youtube musical videos in reference to 'waiting' - as in 'waiting for the New AutoMag'. The song I posted was in fact titled 'waiting' by 311 and the other fellow's video song was a black and white, really old version of 'she'll be comin round the mountain'. The song 'waiting' expresses feelings of frustration and sung in monotone to further enhance the feelings of exhaustion from waiting, but done in an upbeat, optimistic rhythm that just so happens to imply a hint of, you guessed it ... sarcasm. Apparently these music videos were found to be offensive ..... or perhaps off topic (as XP001 mentioned)??? ..... (sarcasm back on) land of the free and all don't cha know! I have removed the 3 posts with the videoclips you refer to. Just to be clear, it has nothing to do with censoring, nor get I paid to do so. It's just a matter of wasted serverspace. Serverspace cost money. Even in the UK. This site is not a (a)social media as fakebook, twitter etc. This site is intended to inform and find information about AMT and Auto Mag. I don't mind critics, sarcasm or wandering off topic some times, but just posting a videoclip with some music has nothing to do with the new automag topic. This part 2 is to find out about updates, progress, new manufacturing methods etc. All I want is to find relevant info about the New Automag without going trough endless pages as the 123 in part 1. I guess most of the members here will agree with that. You're all welcome to post information about the topic good or bad, but please stick somewhat to the point. I hope you're not offended by my action, if so I appologize. Just remember it is not personal, it just a matter of keeping this site somehow to the point. I might be a stupid old crackerboy but I understand sarcasm and understood your first post. And yup, I got a very low tolerance for jokes about the 1st or 2nd Amendments or any of the Constitution or Amendments. Our politicians don't respect or follow our Constitution and Amendments, and truth be told, most US citizens dont respect them either. But I do, and personally dont care for jokes about them. As the kids seem fond of saying "Sorry, Not Sorry"
But dont take it personal, this is just a web site and you shouldnt lose any sleep about anything written here, I sure dont. I thought I would update folks with what I just got back from them. As we move forward, the final two constraints we have been overcoming are finalizing the magazines as well as the frames. We have the (what we believe to be) final run of frames and magazines in house now. If those two constraints are completely overcome - we believe your gun should be getting to you before January. <snip> - we believe your gun should be getting to you before January. Larry - Are you an FE or CE customer??? I purchased in January, so I think that makes me a "CE". I was under the impression that all the "FE" were from a year before that. Mine was one of the first 150 orders after the email went out earlier this year. Gerry was kind enough to let be borrow his 44AMT RCBS trim dies and I got a few "classic" shells ready for fire forming. I will spend some quality range time getting things setup once it arrives. It is my understanding that the 'Founders Edition' [FE] is the 8 1/2" barrel while the 'Classic Edition' [CE] is the 5 1/2" barrel. The FE also costs more. You can order the Classic Edition with either 6.5 or 8.5-inch barrels, and either plastic or wood grips. The only difference between a FE and a CE with 8.5 inch barrel is the serial number, I believe. I also believe that those who stepped up and placed their FE orders early paid less than if you ordered a similar CE today. True? $3,495 for the 6.5" Classic Edition originally (now $3,795) - $3,995 for the 8.5" Founders' Edition. Looks like the Classic is now available in 6.5" and 8.5" - cool. I have a Founders' Edition ordered and paid-for, but I paid full price - I don't know if anyone paid less than that; if they managed to get a better price, good for them. Those of us who paid up-front were recently given a $300 credit towards items from the AM store - mine'll likely be going towards a spare 6.5" upper. Don't forget the high polish finish on the FE. That's the main reason I changed my order from the CE to the FE when one became available. When will my Auto Mag be shipped? There are two remaining hurdles to complete before we can enter a true production mode. One is the new magazine and the other is finished frames. If I could guess I would think we will be in full production in the next 30 to 45 days. Some good news: We will ship about ten (10) more pistols that should be finished in the next week or so. On the first hurdle, we received our first batch of new magazine bodies in this week and already have found problems with the welds and the feed lips. We sent back samples of what needed improvement and should know next week how long it will take to get these new issues straightened out. 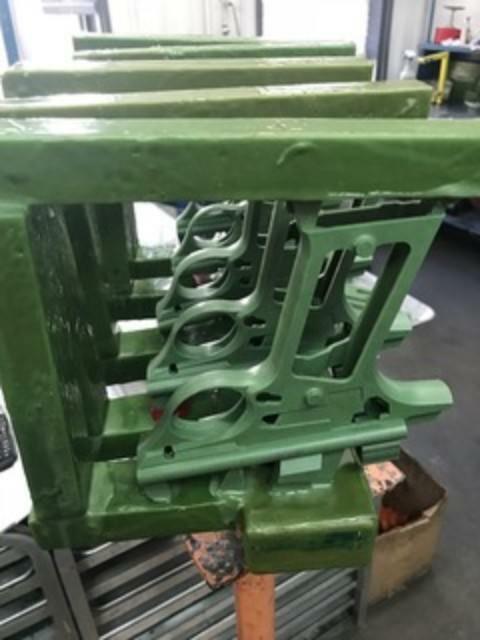 The second hurdle was once thought to be solved as we had 590 original frame castings and even though we knew that many had problems with warping and porosity, we thought we would get at least 50 or 100 good frames but we are having an extremely high failure rate. We will get a small number of frames that will allow us to ship a few more until we get new frame castings. The good news here is that we have started the process of making the new frames and the first pour will be done this Friday. It will take a week to get frames to our machine shop to do the finished milling. If everything is right on the first batch of 20, they will immediately make and increase the next batch to 300 units. But we have rarely had any part work the first time. I am always optimistic but time after time when I believe that things will work on the first try I end up with egg on my face. We will get there and every week we get closer. Every problem teaches us something new that usually makes the final product better than it would have otherwise been. Currently we only have 91 left on order. We have 45 complete uppers (41 of the 8-1/2" and 4 of the 6-1/2"). 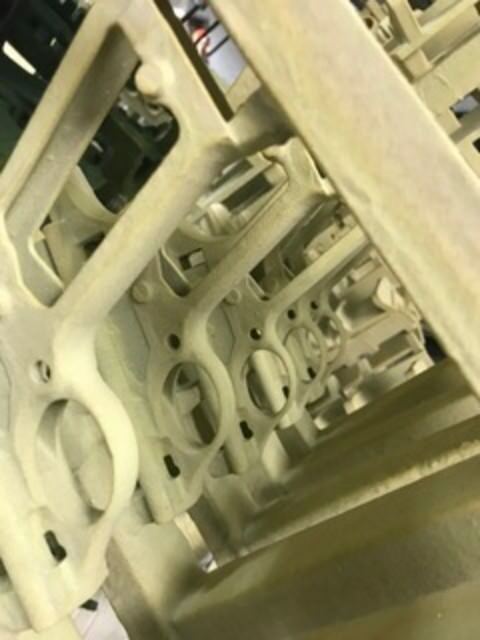 We now have the capacity to produce between 200 to 300 pistols per month and in addition to the complete uppers we also have over 200 of every part needed, except the magazines, frames and finished barrels (we have 217 finished rifled barrel blanks that are just being started on and will be complete in the next month). I have attached some photos of our progress. The green frames are the wax masters and the tan are the casting shells. I prefer to see updates like this. Nervous about the mags, but, I want to see my pistol in time for some fire forming and range work before Santa comes. I have not heard of that thick of a casting shell that didn't involve some sort of "assistance". I know Ruger does this, to a certain extent with some of their parts. Its not 100% the same, though. 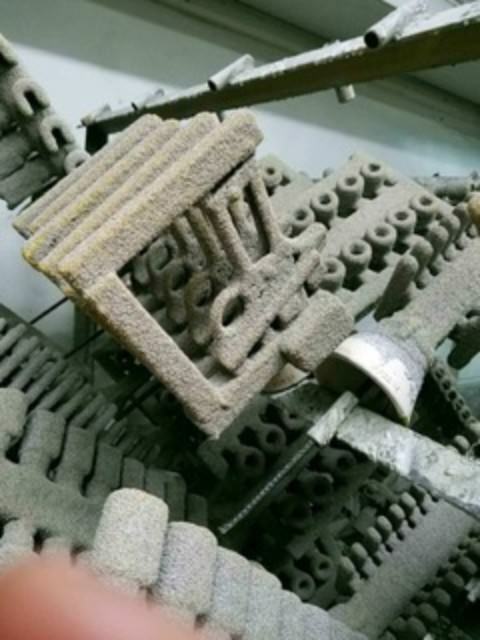 But, one method for one type of material and part size/shape is not going to translate well to another. I would be curious to know what method is actually used, though... my nerd gene is showing. Since we're halfway to December and I recall hearing that the FE pistols would maybe possibly be sorta delivered before January... did anyone get theirs yet? I sent an email to Patrick today seeing if he has firmed up the timeline but I have not heard back. I don't believe they have the frames finished just yet. When last I heard, they were still doing Q-A on what they were getting in. But, I've not heard anything more as of yet. I don't belive they have enough frames to move into machining quantity yet. I don't really expect them to do less than 10 at a time for a given run. They were/are on track to ship before Jan. But I suspect an update in a week or two. 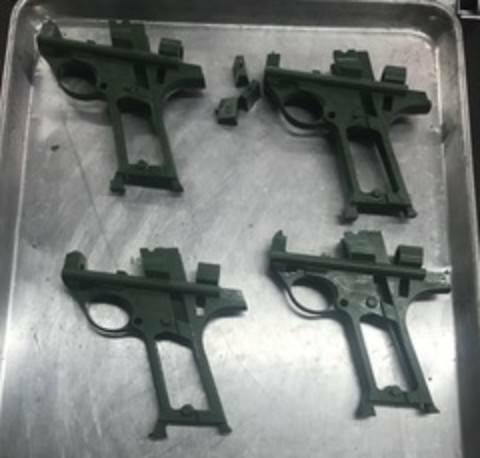 We are building the first few samples in to complete Auto Mag pistols. It looks as if they got the issues with the castings sorted out. Once they complete machining on their samples, they can decided how/when to do the next batch of 300. [I thought there were only like 250 original orders placed during their "flash" sale date, but, they have requests for several times that since then. I don't have visibility into the exact number, just what I know from speaking to Patrick. Still hoping for something from them into my FFL by Christmas. Magazines are another issue... time will tell. I plan to get 3 extra magazines so I don't end up like those Bren Ten owners with guns but no mags to load ammo with. I know Ruger does this, to a certain extent with some of their parts. Ruger are probably *the* experts in investment casting. After designing the Model 77 rifle to use investment castings, they quickly wound up setting up their own foundry to get a supply of decent parts. And now they're so big they (at least used to) do castings for other gun manufacturers as well as other industries. A lot of investment casters make big claims about their capabilities, but AMT found they weren't able to deliver on their claims. Bob B talked about frames that sagged in the front, were warped across the magwells, and acne-spotted with porosity. In the 45 years since, I don't think the state of the art has advanced much. I worked in the auto industry enough to know that things change with several parts suppliers in 25 years, let alone 45. There are lots of changes that have been made regarding temp control, rate of pour, types of mold material, ...etc. as part of the casting process. Even sprue design has benefited from years of research specific to how aluminum flows at different temps and the best way to get gas to escape w/o resorting to complex pressure vessels. Just look at how Edelbrock has changed how they make cylinder heads. The basics are still there, but, the process and control are vastly improved. Now, I would argue that not all parts or designs require the same level of attention to detail. The QC for a V8 cylinder head requires much more care than casting a bottle open. Please do not interpret my follow up post as any form of personal attack. I only intend to point out a a position which contradicts my personal experience. grit my teeth and try to return to my original POV regarding delivery of these things. I'll believe it when I see it in hand. so is Automag going to be at Shot show? If so what is booth number. I have been out of the loop for several months. I was an early pre-purchase for a Classic almost a year ago. I assumed there was a working model and the FE’s were about to be released with the Classic to follow production. Found out that was not the case. After a few months I backed out of my purchase but still interested in the Classic once there is a production model. Since I have not been paying attention, I have read through the comments and under the assumption that there is not a fully tested production model from current available information. The team is still working on getting a the FE’s delivered after they have a working production firearm. I see they now are just starting with a new mold for the lower and need to do some testing. I thought they had this all behind them and had to tweak the bolts (Nickel Boron) and magazines. Not the case. Is this the current state? I first want to say, you were not wrong to cancel your order and wait to see what happens. Every consumer should act in their best interest when it comes to their money. Be it firearms, computers, ...etc. name your field of view. Much of what you have stated is certainly true. There are lots of delays and a whole host of setbacks due to many actors/events. There appears to have been no less than 5 different bolt versions that were shared with the public. It is my understanding that all of that has been completed. 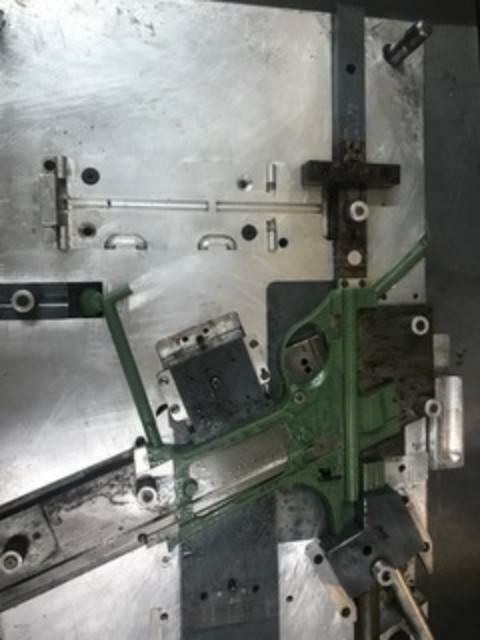 The frame issues were related to the manufacturing/casting process and supplier issues. That now "appears" to be resolved. Magazine... those are the devil. So much can go wrong there and sloppy work in one area requires changes in another. Not defending or casting blame on one company or another. From what I found out, the problem has been to come up with a spring/follower/body that works with both legacy guns as well as the new models. When last I checked with Patrick, some units have actually shipped of the FE, but certainly not all. I give it till the end of Jan'19 and then I seriously consider seeking a refund. Speaking for myself, I do NOT want to relive the disaster of owning a Bren Ten or a Wildey ever again. I tried for YEARS to source a mag or get one converted that would actually feed in my gun. The one I had developed a crack and was repaired by a welder who knew what he was doing... but, it never worked 100% and I refused to spend $300 for one that had not been abused. So I plan to acquire 5 mags when they are "finished". And my experience with Wildey was anything but pleasant ... waiting on replacement parts for the gas system was longer than I have had with the current lead time Automag company. After Wildey went bust, I had to struggle with finding an FFL who could retrieve it from them and ship it back to me. The best moment I had with my Wildey was the day I sold it for more than I paid for it. For any that might be interested, Cabalas in La Vista (Omaha) Nebraska has a North Hollywood Automag for sale for $3,499. I would rather have my ~$3500 in Auto Mags account. My bank, Key Bank in Western New York State, no longer pays interest on savings deposits. They charge $12 monthly 'maintenance charge' instead. Plus another $3 for paper monthly statements. Plus $4.99 per transaction if you use your ATM card at another ATM than theirs. I'm actually saving money by investing it with The New Auto Mag. My CE is all paid for, and my heir knows where it will be sent [FFL]. I'm happy as a clam. It’s still there. You can’t just click on the mile-long hyperlink above and expect it to work. The forum software truncates the last 75% of it, creating a non-working link. If you highlight the whole link and copy and paste it, it opens up. Terrible marketing job—three small fuzzy photos which barely show any detail at all. But $3499 is a great price for a NH gun. I check Gunbroker all the time. There are several available at totally laughable prices, but they aren’t seriously for sale. There are only a handful of real guns for sale for real prices, including a beautiful .357 AMP gun with 6.5 inch ribbed barrel, with RCBS dies and Safariland holster. That one has been sitting there with zero bids for weeks with a $3500 opening bid. Personally I think it’s worth it, but the world seems to believe they aren’t worth as much as a .44 AMP. I was too hasty, my go-to browser used just wouldn't resolve that URL no matter what I did with it( I was aware that just clicking it would not work). Tried Brand X browser and saw the pistol. pistols are C and R guns and exempt from the dreaded "Roster" requirement. dealer who is already on Cal's approved dealer list.. Fortunately there are those who will. Well, I know what I wanted for Christmas but it looks like it's not going to happen. I hope everyone here has a Merry Christmas and a Prosperous New Year! I'm with you on this one Beemer1. Was really hoping to get it this month. I still have some fine-tuning to do on my cut down military brass 44AMP cases. I found a 41mag pilot will hold the case in my Lyman trimmer after using a micro chop-saw to get them near perfect. But, I can't fire-form any cases until I get a gun to fire them with!!! I wouldn’t get too excited waiting on the delivery. I waited about 10 years for my Ares Defense Shrike belt fed upper. It was more like 14 years from the Ares Shrike announcement, until I received mine. I was one of the very early Shrike depositors and it still took 10 years. By the way, are the new Auto Mag magazines available yet? I need to get extras for my original. I believe that magazines are one of the final things they're currently trying to get right, so I would guess not. I think I'll name mine "Ultima Thule" in honor of tonight's flyby. i was hoping there was going to be an update already. It's been nearly 2 months since the last status. Nope - I'm starting to lose hope. I'd like to hear more about the fix and if I can get an extra magazine for having to wait so long. First, we want to thank you for your patience with us. We have hit roadblock after roadblock in efforts to get you the best gun possible. However, our final constraints are the frames and magazines that in which we believe we have created a a solution. I wish I could give you a concrete date, but as we've learned - we don't want to promise something and then have to go back on our word. We promise to continue to update you on the process. If there is doubt in your mind about us, we are happy to refund anyone and anytime. Happy New Year to Patrick, the others at Auto Mag and all my friends on this board. I turned 77 in December and I'm going to hang in here, hoping against hope to have my FE sooner than later. well its been a year since I paid for my Automag and not seen anything. Wonder, was Patrick at shot this year? Not looking very promising. I doubt that they are at the SHOT Show. They are actually farther away from having guns to ship that they were a year ago. It would be kind of embarrassing. I have to say I have complete confidence that they will deliver as they have promised. I paid for mine I recall in Sept of 2017, no later than October. Late last year, December I had an opportunity to acquire some items ( related to another hobby) I really needed to jump on so I requested a refund from Patrick and he was true to his word. When they hit production some time I may well try again to buy the 8 1/2" version as I have no doubt they will make it. I just received this email. First I want to apologize for how long it has taken to get this out. It is totally my fault. I kept waiting for things to happen that got delayed. The good news is a lot has happened since the last update plus we have made several strategic plans in how we will operate going forward. We have decided to move all the critical item production in house. We have mostly good vendors but, having it in-house will allow us to not only start on our work immediately, there is must less likelihood of mistakes made due to communication errors. As part of this move, we have already bought and installed a basic machine shop to prototype parts plus an R&D lab. We are in the process of interviewing people to work in this area so if you know anyone that is a good Machinist/toolmaker and/or Solidworks person please refer them to us. We had several setbacks and delays in December. The second test group of mags was only spot welded on the floor plate area and when we tested them some of the floor plates would pop off due to the lack of a seam weld. This is being corrected as we speak. The second batch of new frames solved the grain structure issue so they are machinable but there were places where there was not enough material to machine so the mold has been enlarged to accommodate this need. The third run will be machined next week. The set back was that we had 217 completed bolts that when we started to assemble them we found that the nickel boron plating had been put on too thick and this made them not fit properly in the barrel extension. We decided to remake the bolts but in addition, are adding a radius to the bolt lugs that allows it to lock up properly even when there is a lot of fowling. All the delays are due to me. In the beginning, when I bought Auto Mag I just was going to put together the parts and build a few hundred guns with no changes. I quickly realized that the Auto Mag had a number of deficiencies and over time I have decided to address more and more of them. There will always be one more thing that could be done, however, so as long as the current design is safe and reliable we will not make any more changes. This leads me to the other delay. Through the years a number of Auto Mags were damaged due to firing out of battery but we were never quite sure what caused it. But at the end of November, we discovered that it was being caused by a combination of several things. One was a firing pin that was too heavy while dropping a bolt on a chambered round without a magazine in place to slow the bolt combined with a soft primer. We redesigned the firing pin out of titanium and it works great. The old steel firing pin weights 75 grains and the new titanium weights 43 grains. We are scrapping all the old steel firing pins and if you have received a gun from us already we will replace the old firing pin at no charge. Even though most gun people know better than to do this I felt like this was a safety issue that had to be addressed immediately. Lastly, we have had Wolffe Spring remake all the springs in the gun closed end flat ground. The open end springs would cause clocking of the recoil spring rods to the point that you had to retighten them after firing a number of times. We also plan to start putting continuous updates on the website and stop batching them together in emails. We are at the Shot Show at the SBR Ammunition (booth 7403) and we have both the original and the new Auto Mag with all the improvements so if you stop by you can compare the differences. Finally, we have replaced the damaged roof, remodeled the offices, and have moved back in and this will make us much more efficient in the future. P.S. Check the website for the latest photos/videos. It may take a day or two to get them up but they should be online by Monday. This is the part of the update that provides me a glimmer of hope. I quickly realized that the Auto Mag had a number of deficiencies and over time I have decided to address more and more of them. There will always be one more thing that could be done, however, so as long as the current design is safe and reliable we will not make any more changes. Perfection at all costs is the enemy of success. Safety and reliability come first, the rest is what you delivery on as you proceed to improve the product. Take the 1911 platform. It was not "perfect" by any means when it was first released. Since then, man MANY improvements have been made regarding metallurgy, machining tolerances, and exterior updates. I give them 90 days before I make any decisions. But the magazine issue is stupid at this point. Either they know what they are doing or get someone who does. It doesn't take a year to get a working magazine design. I requested a refund from Patrick and he was true to his word. When they hit production some time I may well try again to buy the 8 1/2" version as I have no doubt they will make it. Did exact the same. Once they have a proven product I will place my order again. I believe they will succeed, fascinating firearm. My own judgement to wait due to earlier unrealized expectation. I've held off, hoping they would ship this year . But our fascist governor has implemented more restrictions, and it looks like I have some hospital time coming up, so I may have to re-think a refund. Don't want to, but it is what it is. FWIW I phoned them about five times a week ago (before the SHOT show) and left messages on both the parts order line and Patrick’s personal line. They are going to have to work a little harder on the basics (answer the phone, or at least call back if you can’t answer right away) if they want this enterprise to succeed. Yeah, this is the part that is really disappointing. Lack of follow up in a reasonable amount of time. Hell, just have a family member stop by once every few weeks with their smart phone and do the post for them. Its what other companies do... Leadership requires the ability to delegate appropriately. New guy here, I've had my Automag on order since August 2018 (PIF). I'm getting a little discouraged but I'll hang on and hope for the best. The first time I tried to order one must have been from Lee Jurras back in the late 70s. I think the price was $500 which seemed pretty outrageous back then. I wanted one pretty bad and decided to live off beans until it was paid for. Didn't happen, they were unavailable and that was it. After ordering one of the new ones I picked up a set of RCBS Dies from Huntington's - they were on sale for $85 back in January. I've loaded up 250 test rounds along with 50 rounds of SBR. Can anybody here look over my load data and let me know if I'm in the ballpark? If I ever get mine I sure don't want to break it! Interesting tale: I learned of Patrick's enterprise over a year ago and really wanted an AutoMag. I had wanted one during the early years, but never had enough Gelt to buy one. I verified this and submitted a claim. Surprise, surprise - my claim was verified! Three calls at $1200 each! Just enough to buy the pistol. I placed an order for one immediately. I've since been notified that the attorneys for the plaintiffs are going to take 1/3 of the payout, but that still leaves enough to take the sting out of the price. It's no surprise that Dish Network has appealed the verdict. That appeal is figured to be decided in "early 2019". It would make me real happy if I get a check from the lawsuit and my FE the same day. I don't want throw cold water on your dreams BUT never count on money not in your hand. They always will file appeal, it allows time to negotiate the final price and stalls the payment, thus giving them time to gather more money before paying and the lawyers work more giving them more billable time that comes off the top before you see anything. There is lots at play here with this type of suit. Either way, you will see something later but not sooner but it will help fund your purchase. I have seen these suits go from thousands down to less than hundred just from the lawyers sucking the billable time. The company lawyers are paid but your lawyers love these delay tactics as their billable get bigger and your payout gets smaller. Enjoy your new purchase WHEN it gets done! pbcaster45: your question might be the proverbial question "what do I feed a unicorn?" There were a few people who got a "test" specimen. Maybe they loaded some rounds for it? Then again, from following the progress, there have been changes to it. There was a rumor at one time that someone's 70+ year old mother was cocking it, starting with the hammer up. If it is going to be that easy to cycle, will the load data from the 70's/80's still be the same, or will they be a little lighter loads? I am trying to figure out a load for one of mine. 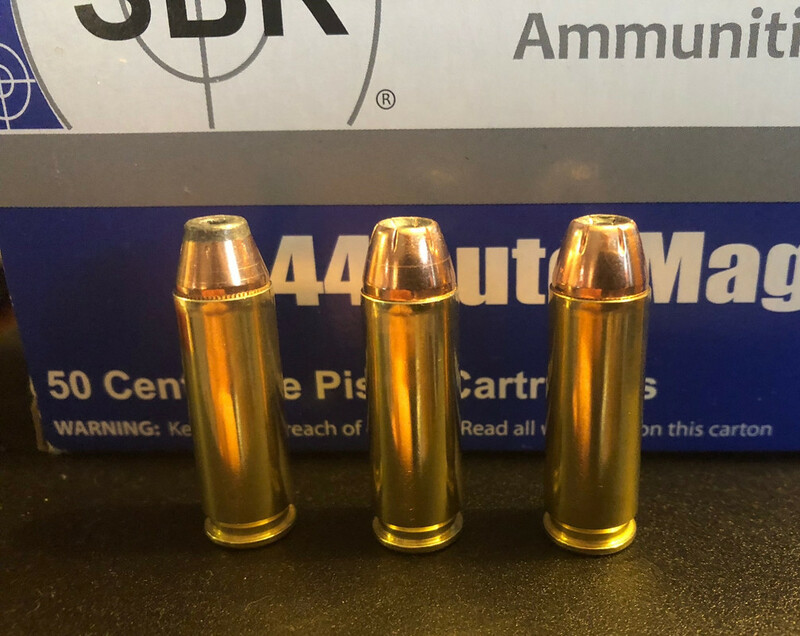 I have a couple that cycle and hold open on the last round just fine with 21gr H110/240gr Hornady XTP/Starline brass/CCI 350 Magnum pistol primer. I've got one AM that is giving me fits. Trying 1 round, it will cycle 22.5gr H110 but not hold open on the last round. Running 23gr H110, it will cycle and hold open on 2 out of 3 rounds. Then re-verifying a couple 22.5gr again, it cycled and held open. Go figure! I guess to answer your question, with all the changes that Patrick (and crew) have done to it, who know's what the new AM's will need to function reliably. No cold water here. I know full well what I'm doing. I had the disposable this time, it just gave me something to say, "maybe" to. I'm also trying to get a young chick (67 yrs old) to get interested in a guy 10 yrs her senior, and I have about the same expectation as the lawsuit. But if I don't try, I can guarantee that I will be a year older next year. I just thought it would be interesting to read. It's not like the board is full of news. I called there 2 days ago because on the website it looked like he had completed guns for sale. Patrick answered the phone, and in the conversation said 6 to 8 weeks for prepaid orders. Still kicking that idea around. Patrick answered the phone, and in the conversation said 6 to 8 weeks for prepaid orders. But prepaid orders for which version??? FE or CE??? I think FE . The long barrel one was what we were talking about. This may not be 100% accurate so take it for what it is worth. Regarding your recent statement “the conversation said 6 to 8 weeks for prepaid orders” would make several people happy if that were true. The people who purchased the Founders Edition (FE), sold out late 2017, are still waiting. Also surprised there are not dozens or a hundred people on this board/thread who may have purchased an AutoMag asking questions. The company offered to sell the Classic Edition (option 8” barrel) in early 2018. Then a falling out and separation with a partner company who were to machine the gun and one of the original engineers of the AutoMag. Then problems with magazines, springs, misfire which all believe to be resolved or close to resolve. Bolts with Boron coating that had to be scrapped. Last, issues with the lowers. I am not sure if they have a working production model to date to fill the 2017 FE orders. Hope they get all the issues resolved. Would like to see them start to deliver the FE’s but, to me, there is no estimated expected date for delivery at this time. I know Max Gera bailed. Is Larry Grossman still working for them? It saddens me to have to post this….With the direction the New Auto Mag is now taking, I am really disappointed since I dedicated close to 50 years of my life to the Auto Mag. I thought this time it was going to go very well when it started. The quality of the guns we produced were the best ever in my opinion. At this point the way it is evolving, I will not be involved any further with the Auto Mag LTD.
On a personal note, I feel the people involved at Auto Mag LTD. Did not acknowledge or appreciate my dedication, expertise and commitment to the Auto Mag Pistol. To my friends, colleagues and Auto Mag Purchaser’s, I wish you all the best! Again it saddens me to have to post this. FWIW my more recent experience has been MUCH better. I phoned yesterday and left a voicemail about buying replacement recoil rods. They called me back TWICE this morning before I even woke up! I got in touch and explained my problem, and rather than just selling them to me, Andy there asked me to consult with Patrick first to make sure he wasn’t selling me something that I might not need. Also, he said they had a real breakthrough with the design thanks to high-speed photography. He said the bolt face was bouncing off the back face of the barrel before rotating locked. The solution was to mill the slot at the back of the bolt 30 thousandths deeper to prevent it from smacking the pin in the frame. He said those machining operations are commencing today. He also said they enlarged some areas of the frame mold to provide a bit more material, in areas like around the grip screws where the holes for the screws previously (and originally) weren’t centered in the material in the frame. He was hesitant to say it, but he suggested that assuming all went well, they would be ready to ship all the Founder’s Editions as well as all the Classic Editions in the next 3-4 weeks, and once that’s done, he said the factory could handle production numbers up to 300 guns a month. 3 to 4 weeks, years I've heard that several times since I paid for one over a year ago. Just like I was told for us who paid in advance would receive a free presentation case. Patrick has more excuses you can shake a stick at. Bottom line I want my damn gun I paid for. Well, that would be amazing if it comes off - here's hoping. Here is a video Patrick sent me today. He said he will have it posted on the New Auto Mag YouTube channel soon, but said I could share it in the meantime. I've written Patrick twice now to correct errors in my order, with no response. Just silence. Remember the days when people used telephones to talk to one another? Believe it or not, they still work that way today too. Just call him. I’m sure you will get instant response assuming they are there to pick up the phone, and my recent experience has been that they called back very quickly when they weren’t there when I called.